News of an impending natural gas price hike across Europe, and deepening volatility surrounding Middle Eastern Oil, has within the past week been met with a more promising refrain from a Region traditionally viewed as a pawn amongst kings and rooks within the global energy sector. Energy sector stakeholders from across the Caribbean last Thursday converged on Miami, Florida for a special forum that sought to identify specific user needs and functions for the Caribbean Energy Knowledge Hub (CEKH) – a new initiative of the Caribbean Community (CARICOM) Secretariat, that seeks to facilitate the implementation of the CARICOM Sustainable Energy Roadmap and Strategy (C-SERMS). The forum was held on the heels of the 2018 CAREC Renewable Energy and Smart Grid Conference – a major calendar event of the Caribbean Electric Utility Services Corporation (CARILEC) – in an effort to capture what the organizers described as the Utility Perspective on the function of the Knowledge Hub. Participants were drawn from a diverse range of sub-sectors, and included representatives from national regulatory institutions, civil society organizations, the private sector, national governments, public utilities, universities, development partners, and the project’s core team – a mix befitting a conversation bearing such importance in the grand scheme of the region’s energy transition. It is a journey that started in earnest back in February 2003 at the Fourteenth Inter-Sessional Meeting of Heads of Government of CARICOM, where it was agreed that a Regional Energy Policy Task Force be established to offer recommendations towards addressing a number of persistent and then emerging challenges within the Region’s energy sector. A decade and a half later, issues related to the security of the Region’s energy supplies, energy pricing and its impact on relative competitiveness within the CARICOM Single Market and Economy (CSME), as well as purchasing and transportation arrangements, are more mainstream than they have ever been at any point in the Region’s history. The CARICOM Heads of Government decision in July 2003 to expand the Terms of Reference of the Regional Energy Policy Task Force to include recommendations on Natural Gas, Renewable Energy, Energy Sector Investment, and the Rationalization of the Regional Energy Sector, marked the coming-of-age of an agenda previously kept in check by a high-level preoccupation with petroleum and petroleum product pricing. With the approval of the CARICOM Energy Policy on March 1, 2013 at the Forty-First Special Meeting of COTED – CARICOM’s Council for Trade and Economic Development – and the subsequent approval of the C-SERMS platform in 2015, the next checkpoint on CARICOM’s new climate-compatible development pathway, was the data and knowledge framework to support the new regional sustainable energy targets and the transition to sustainable energy systems. Last Thursday’s forum was an acknowledgement of the immense amount of work yet undone in the area of Data and Knowledge Management, and presented an invaluable opportunity for knowledge exchange and consensus among key stakeholders on the core programmatic elements and functions of the Knowledge Hub. 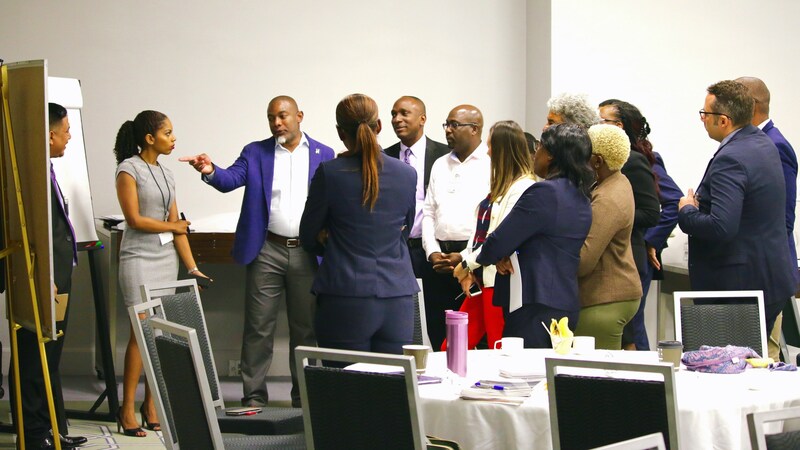 According to Dr. Devon Gardner, Energy Programme Manager at the CARICOM Secretariat, in an exclusive interview following the conclusion of the Miami workshop, the Knowledge Hub is likely to serve three main functions within the Region’s energy transition, the most pressing of which is as a means of fostering analytics. “What the knowledge Hub will allow us to do, is to be able to capture data and statistics on the sector, and to be able to feed all of that into tools that can provide us with some of the analytics that we require,” said Dr. Gardner, one of the initiative’s leading proponents. He further outlined that the uniqueness of the Region’s development experience, is such that there are more options for pursuing a sustainable energy pathway than in many other regions – primarily due to the relatively small size of the markets, and because of the large potential that Caribbean countries have in respect to different types of resources. The CARICOM Energy Lead is however of the view that this is as much a challenge, as it it is an opportunity for the Region. One of the major takeaways from last Thursday’s forum, was that the Knowledge Hub is expected to be a major driver in reducing the Transaction Cost for renewable energy projects within the region. The current average cost for installed capacity per kilowatt in solar photovoltaic technology within the Caribbean, stands at approximately US$3800 – twice as much as current global trends. Associated costs typically include procurement of hardware and services, transportation, and all other activities required to have the hardware installed, operationalized, and delivering power. In outlining the need to make renewable energy projects more cost-competitive alongside other types of projects within the Region, Dr. Gardner elaborated on the sentiments of several key stakeholders present at last Thursday’s forum – including Executive Director of the newly established Caribbean Centre for Renewable Energy and Energy Efficiency (CCREEE), Dr. Gary Jackson. 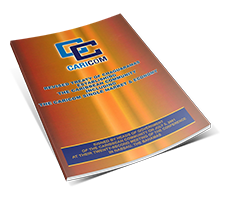 It is on this basis that the CARICOM Energy Lead has suggested that the Knowledge Hub will also serve as a repository of information, thus providing the institutional arrangement and intelligence required for more efficient energy-related decision-making within the public and private sector. The CARICOM Energy Programme has, however, sought to collaborate with a wide cross-section of stakeholders in government, the public and private sector, civil society, academia, and is now seeking to further engage local communities in helping them to understand their role within the Region’s energy transition. To this end, Dr. Gardner believes that the third function of the Knowledge Hub is to improve the general knowledge of persons within the Region around the sustainable energy options that are available, and what the potential benefits of those options are. Once completed, the Caribbean Energy Knowledge Hub (CEKH) will serve as a functional part of CCREEE, and is expected to facilitate improved reporting on sustainable energy indicators, disaggregated locally, while keeping track of Member States’ progress towards the 2022 and 2027 C-SERMS sustainable energy targets. As the Knowledge Hub ebbs closer to implementation, greater focus will be placed on the conceptual clarity of sustainable energy indicators, and the methodologies and standards required for regular reporting by Member States. The good fortune of pursuing this agenda within the renewable energy space at this particular juncture, is that tremendous progress has already been made in mainstreaming affordable and clean energy within the 2030 Agenda for Sustainable Development. This provides a tremendous opportunity for the principals of the Caribbean Energy Knowledge Hub, as data on these indicators – alongside other country-specific proxies – are already being collected by more than 50% of countries globally. There is therefore a wealth of institutional knowledge on international best practices to reference in advancing the regional energy data and knowledge management agenda. The Caribbean Energy Knowledge Hub workshop was held in conjunction with the C-SERMS Technical Working Group on Information and Knowledge Management, and the 11th European Development Fund (EDF) Technical Assistance Programme for Sustainable Energy in the Caribbean (TAPSEC), delivered by the German Agency for International Cooperation – Deutsche Gesellschaft für Internationale Zusammenarbeit (GIZ). Financial support for the Design Phase of the Knowledge Hub is being provided by the World Bank Group, with technical assistance from Monkey Mosaic Ltd. and the Renewable Energy and Energy Efficiency Partnership (REEEP).